Although convenient in fighting terrorism, the U.S. and others need to consider the broader implications of drone warfare. During his four-day visit to Washington in late October, Pakistan Prime Minister Nawaz Sharif emphasized “the need for an end” to America’s drone strikes. U.S. President Barack Obama did not respond directly, but both sides agreed to develop bilateral relations and step up anti-terrorism cooperation. Given Washington’s approval of $1.6 billion in military and development aid to Pakistan, tensions appear to be under control for now. Still, continued drone strikes appear very likely to trigger more ructions between the two countries, as tactical counterterrorism needs trump more strategic interests. Indeed, drone warfare generally has the potential to heighten regional risks and even threaten global peace and stability. Unlike the “boots on the ground” strategy employed by predecessor George W. Bush in his War on Terror, Obama has relied heavily on the use of drones to eliminate high-value targets (HVTs). Members of the Obama administration have apparently described drone warfare as “efficient, and even morally necessary, given the state of the U.S. economy and the war-weariness of the American people.” Other factors may also contribute to this policy option: Americans’ zero- tolerance for terrorism (especially real or rhetorical threats to homeland security), strong domestic anti-war sentiment, and low tolerance for suffering. The use of drones began with the Bush administration, but has been stepped up considerably during Obama’s presidency. Today, the U.S. has acknowledged drone use in Afghanistan, Pakistan, Yemen and Somalia, and has allegedly used them in Libya and Mali. Since 2009, the CIA has launched 239 strikes into Pakistan, and the U.S. Navy launched 145 strikes in NATO’s Libya operations. A heated debate rages over the effectiveness, morality and necessity of drone program. The first two of these are closely linked: whether drones effectively kill HVTs while avoiding civilian causalities, especially women and children. Because of a lack of transparency in CIA and Pentagon-led drone strikes, the media and academics lack access to accurate numbers of HVTs and civilians killed, but they usually agree that drones kill many more civilians and ordinary combatants than HVTs. Civilian deaths make it easier for terrorists to recruit new fighters and to win more local sympathy and even support. 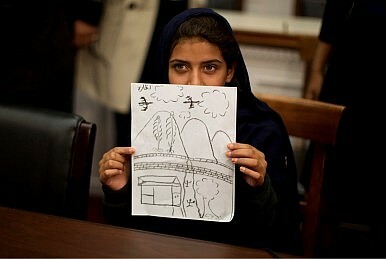 The necessity of drone strike touches on a more strategic issue. The wars in Afghanistan and Iraq, and the death of Osama Bin Laden, left al Qaeda significantly weakened. That should signal a U.S. shift to a more defensive approach, given that attacks only create more enmity among Jihadists, as seen for instance in 2010, when Pakistani-American Faisal Shahzad placed a bomb in Times Square as “payback for the U.S. occupations of Afghanistan and Iraq and for its worldwide use of drone strikes.” Malala Yousafzai, the 16-year-old Pakistan activist, told Obama during their recent meeting that, “drone attacks are fueling terrorism. Innocent victims are killed in these acts, and they lead to resentment among the Pakistani people.” The Yemen government is under great pressure from its people over the increase in the number of civilian deaths. Pakistan, Yemen and other countries where drone strikes take place are all weak states. The legitimacy and stability of their governments may be weakened still further, with local populations seeing their governments as traitors cooperating with foreigners in killing fellow citizens. The situation is exacerbated by the lack of transparency. Misperceptions and distrust increasingly destabilize the partnership between the U.S. and other countries in the fight against terrorism. Today, for instance, Islamabad insists drones kills civilians, violates its sovereignty and should be stopped. In a broader sense, America’s use of drones may create more strategic dilemmas for regional and global peace and stability: specifically proliferation and a possible arms race involving drones that could leave the world more prone to conflict. America’s use of drones has also prompted many other countries to develop their own or buy drones from the international market, including Britain, Israel, India, Russia, South African and China. Indeed, China is particularly ambitious, having sold Wing Loong UAVs to a number of countries. It is now developing its stealth drone “Li Jian” (Sharp Sword), which makes it the third country capable of producing such weapons, after America’s X-47 and France’s nEUROn. Countries that don’t have drones may feel threatened and less secure, and seek similar or other asymmetrical means to maintain the balance of power. This could lead to an arms race. What’s more, as the adage says, to the man with a hammer everything looks like a nail. Leaders and field commanders may become overconfident in their technology, making them more assertive than prudence would normally dictate. Security experts worry that drones, usually fielded in geopolitically dangerous areas of the world, may contribute to the outbreak of more small wars and conflict escalation. In the Middle East, Iran and Israel are adversaries armed with advanced drones. Israel is now more likely to use drones in strikes against Iran’s nuclear facilities. If that happens, Iran will certainly retaliate, probably using drones, too. In East Asia, China has used drones to monitor the disputed Senkaku/Diaoyu islands in the East China Sea, and Japan has indicated that it plans to do the same. Tokyo has said it may shoot down Chinese drones, prompting a warning by Beijing that this would mean war with China. Taiwan, South Korea, India and a number of ASEAN countries are seeking to buy Global Hawk drones from the U.S., potentially escalating tensions in the South China Sea. While the U.S. today enjoys the advantages of drones in its fight against terrorism, the White House needs to consider the strategic implications: proliferation, possible arms races, and the irresponsible use of UAVs in regional disputes and conflicts. As a global leader, the U.S. should cooperate with the UN and other international organizations to monitor and regulate the use of drones. Irresponsible use should be taken very seriously, and condemned by the international community. Duan Xiaolin is a PhD student in Lee Kuan Yew School of Public Policy, National university of Singapore. Research interests include small wars, foreign and public policy analysis. Will a shift in the U.S.-Pakistan relationship affect India-Pakistan relations and Kashmir?